Whilst most car adverts focus on the drama and action of the model on the road, this spot succeeds in showcasing the Genesis G80’s arresting and immediate impact, without it ever moving an inch. Revolving around the idea that impressions can be made at various speeds, the visually-striking ad documents several beautiful scenes in extreme slow-motion detail – such as the unique speeds of a falling leaf, pigeons in flight, and rain droplets - before fixating on the moment a person encounters the Genesis G80 for the first time. By capturing the sensory response through dilating pupils and rising hairs, it delivers a graceful and dramatic reveal and cements the statement of the new model’s impressive ability to provoke such a reaction even when stationary. 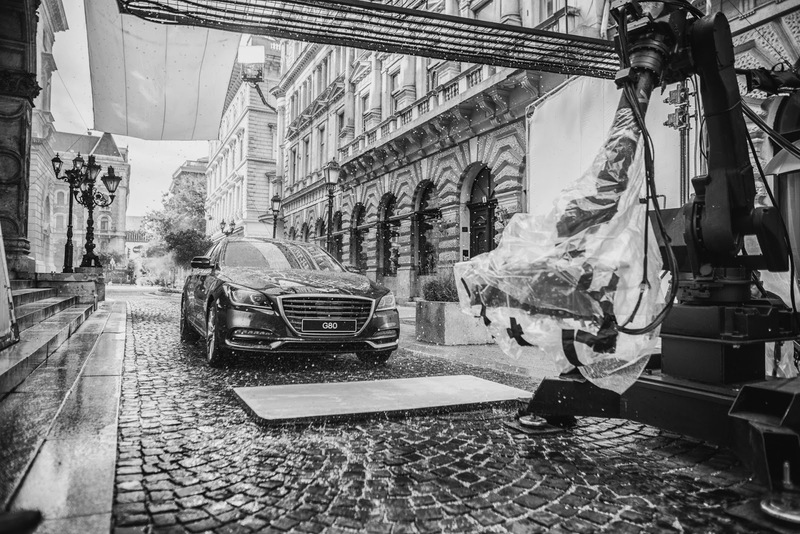 Hyundai enlisted the expertise of Budapest-based production company, Flatpack Films, to take advantage of its vast network and harness the full potential of Hungary’s versatile locations. Home to a range of fantastic studios, Hungary is an attractive option for many high-profile productions. The team filmed both versions of the Genesis G80 ad in the country – one featuring a female actor and the other a male one. This spot was shot almost entirely in-camera, with little post production enhancement. This meant that the project required a considerable technical component, involving a Max Arm, Wire Camera, and a Russian Arm Mini with two Phantom Cameras and two ALEXA Cameras along with a RED Weapon camera – all operated above the rain machines. 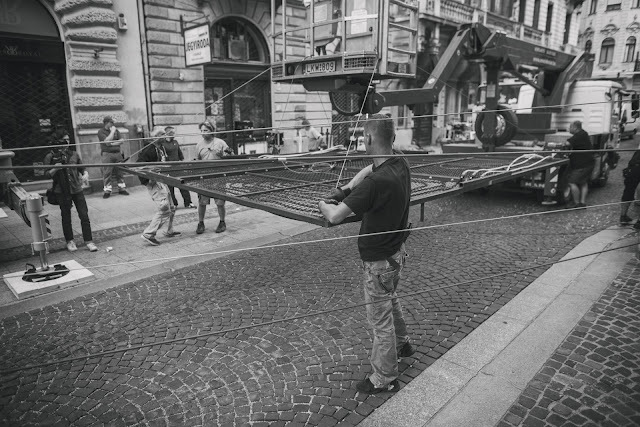 Flatpack secured the equipment, sourced the tech personnel, and orchestrated the logistics and tests with Hungarian crew in accordance with Keystone’s requirements. This campaign has now launched on TV and online in Korea and the MENA region.